Your wedding day is one which you will want to remember and treasure forever. You may have other great days in your life, such as when you have children, getting your dream job or even playing online bingo but nothing quite competes to that of your special day. You want to try to find a way to keep it with you at all times. Having photographs taken is a must have. It is the perfect way to preserve the day. However once it’s over how are you going to remember just how great it was? Printing your pictures is one thing but printing them on canvas is quite another. You can turn your wonderful day into a piece of art that can be displayed for ever more to remind you of your love for each other. 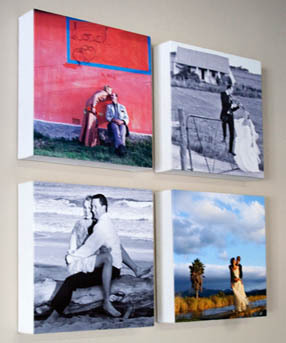 Our canvas printing ensures that your photo gets displayed in its full potential. Contact us today by sending us an email or fill in the form here and we’ll get back to you!